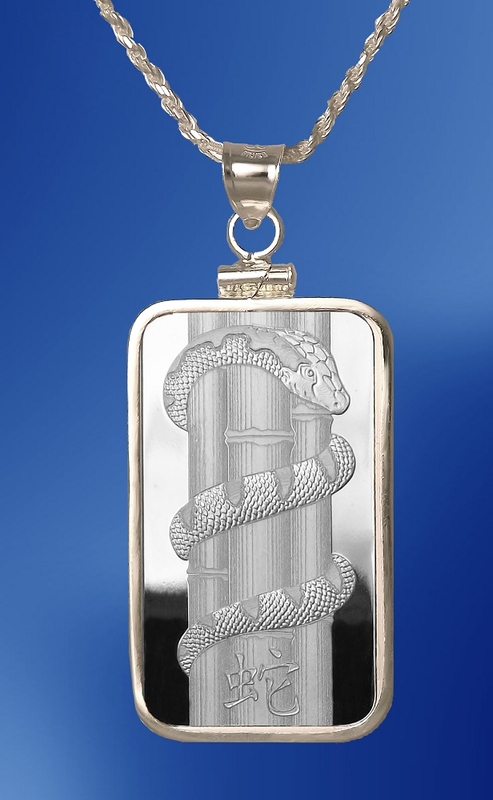 Beautiful necklace features Lunar Snake .999 Fine Silver bar from Swiss bullion specialist PAMP. Sterling silver coin mount. 20" Sterling chain. 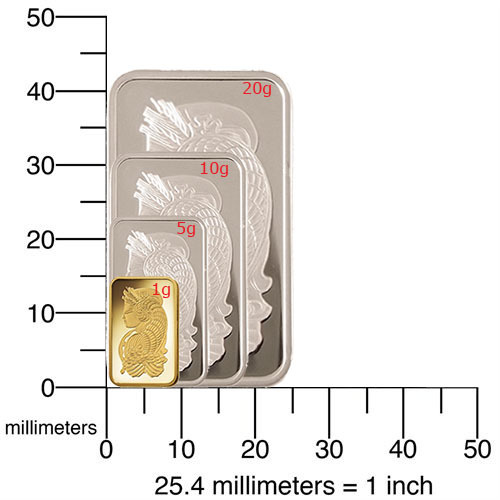 Stunning necklace features .999 Fine Silver bar weighing 10g from Swiss bullion specialist PAMP, optionally enhanced with Aurista's exclusive Lenscote protection. 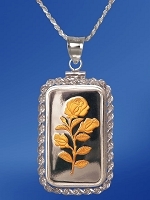 Handmade sterling silver secure screw-top coin mount. 20" diamond cut Sterling silver chain. Popular not only in China, where the Lunar system originated, but also throughout many Asian countries, this unique and revered zodiac takes on greater prominence with each Lunar New Year when it is strongly associated with gifts of good fortune in precious metals. Aurista's limited lifetime warranty and presentation box included.